Once the centre of NYC's bohemia, Greenwich Village is now home to lux restaurants, and buzzer door clothing stores catering to the nouveau riche. But one shop in the heart of the Village remains resilient to the encroaching gentrification: Carmine Street Guitars. There, custom guitar maker Rick Kelly and his young apprentice Cindy Hulej, build handcrafted guitars out of reclaimed wood from old hotels, bars, churches and other local buildings. Nothing looks or sounds quite like a Rick Kelly guitar, which is the reason they are embraced by the likes of Bob Dylan, Lou Reed, Patti Smith, Jim Jarmusch, just to name a few. 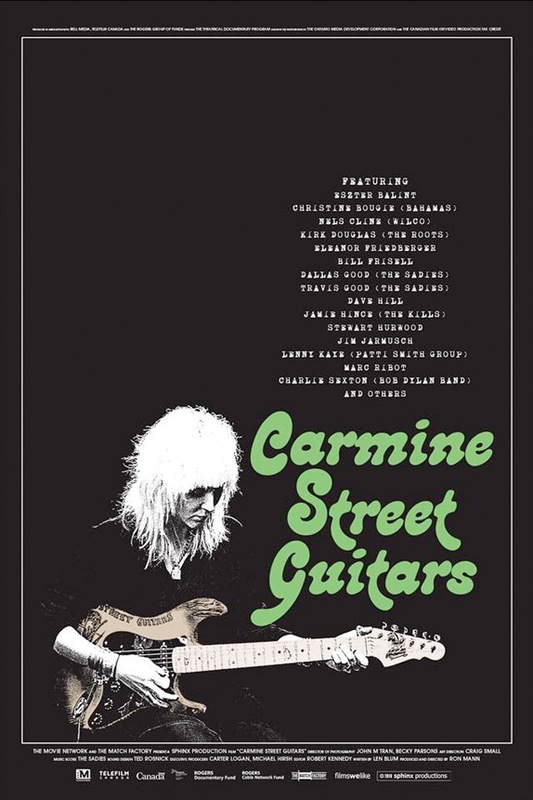 Carmine Street Guitars is directed by Canadian producer / filmmaker Ron Mann, director of the docs Imagine the Sound, Poetry in Motion, Grass, Go Further, Comic Book Confidential, Tales of the Rat Fink, Know Your Mushrooms, In the Wake of the Flood, and Altman previously previously. This premiered at the Venice Film Festival last year, and also showed up at the Toronto, Reyjkavik, New York, and SXSW Film Festivals. Abramorama will open Mann's Carmine Street Guitars in select theaters starting on April 24th.